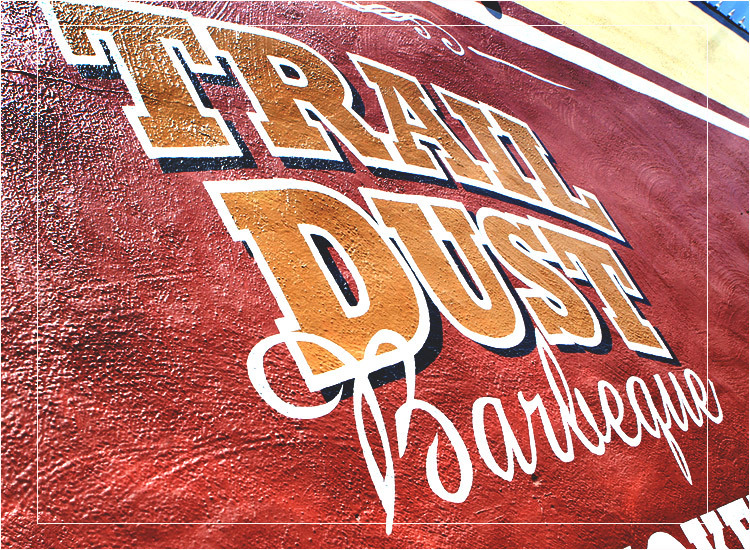 Trail Dust Barbeque is inspired by different regions, from California to the Carolinas. It brings together the best of all regions and creates something uniquely its own. The process begins with the finest quality meats, seasoned with our time tested rubs and then smoked with oak wood for hours until the perfect harmony of smoke and flavor is achieved. 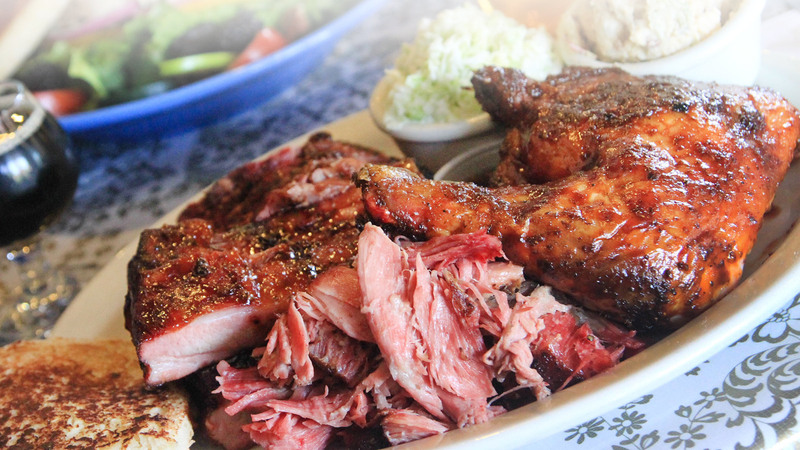 Our food is cooked the old school way—low n slow and with a lot of love put into each piece of meat. 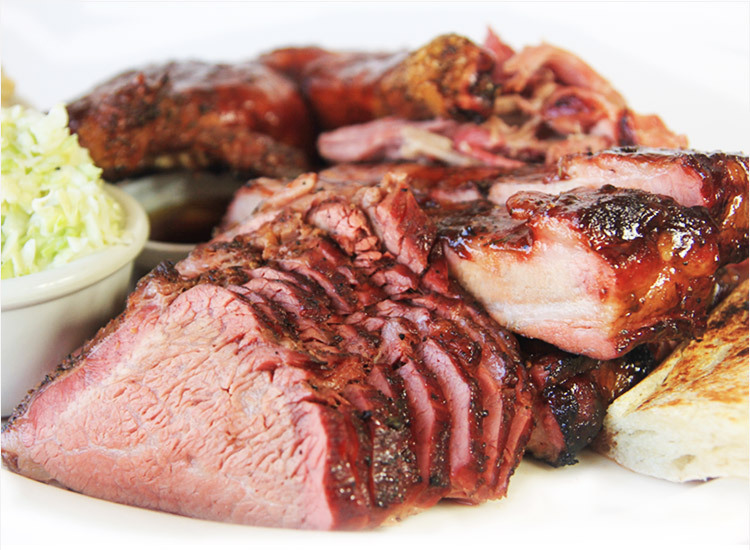 This gives the meat the succulent taste and light smoked flavor that people have enjoyed in Morgan Hill since 1989. 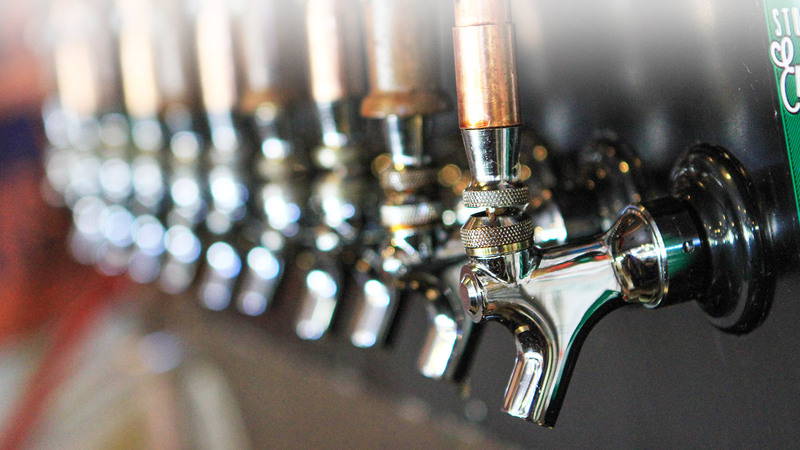 Beyond BBQ, Trail Dust hosts a wide variety of fun events including live music and craft beer and wine tasting events. 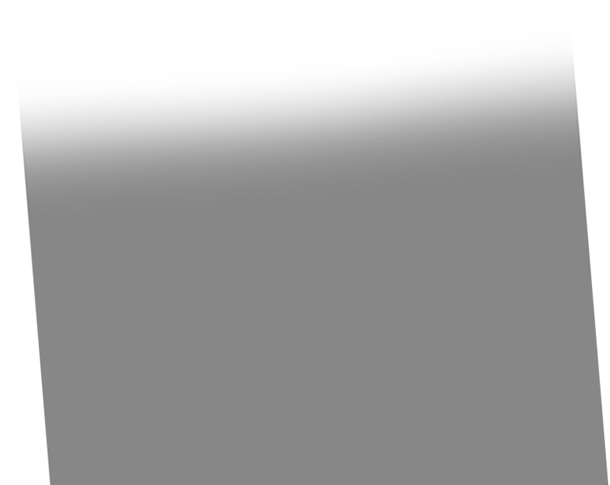 We keep our event calendar up to date weekly. Check back here for the latest and greatest. Cheers! 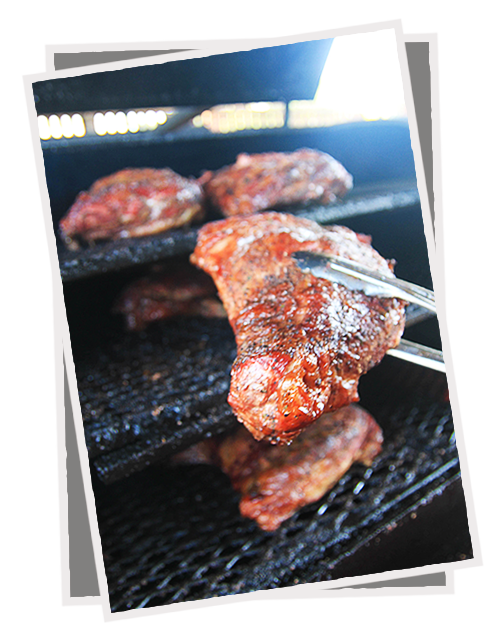 Trail Dust Barbeque also provides great take out offerings and multiple catering options for your next special occasion. 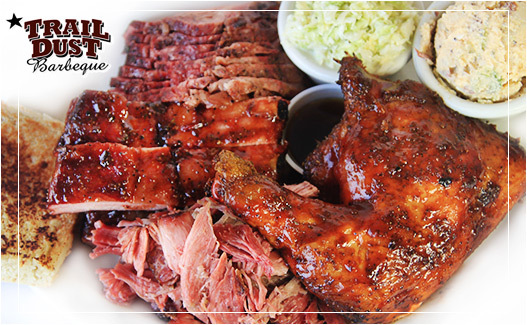 Come and join us for friendly service, a great atmosphere and authentic barbeque right in the heart of downtown Morgan Hill. 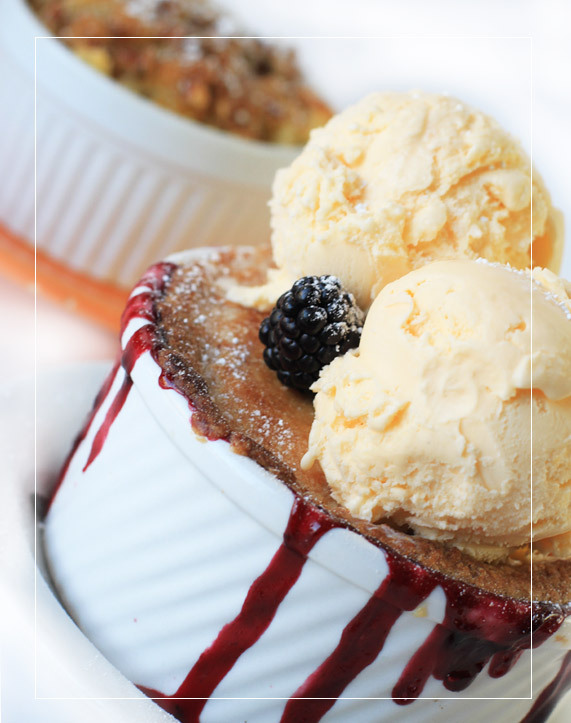 We would love to have you, and we know you’ll keep coming back for more! Iowa and Minnesota delivered weekly. Our St. Louis Pork Ribs are Curly’s Gourmet Ribs… the best you can buy. We don’t reheat or boil ribs and we don’t use the big fatty spare ribs. Our Steaks are USDA PRIME from specialty meat distributors. Our chickens are four pound plus that we special order. Oak. Which gives the meat the sweet, succulent taste that is so addictive. Why do you sell out of food? Smoking is a long process not to be compared with grilling. 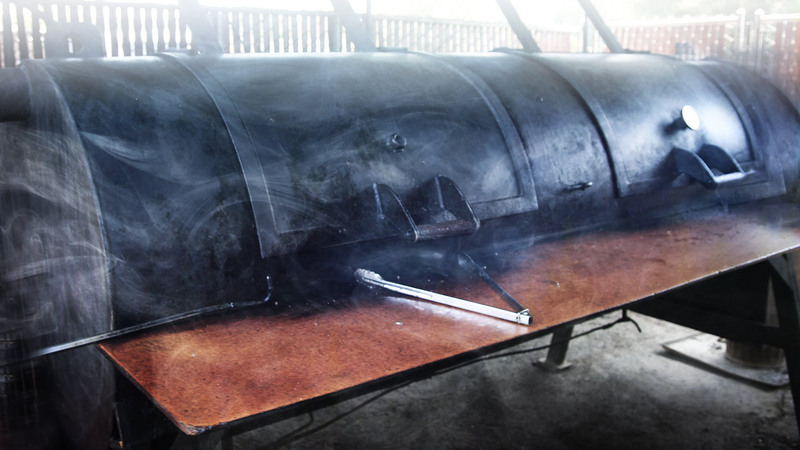 A full pit takes six to eight hours of smoking. When the meat is done is must be served in a short time or else it dries out. So we have to make a guess pretty early in the day of how many folks we are going to be able to feed that night. On the busy nights we fill the pits so full you couldn’t fit a Humming Bird in there. Sometimes we have more customers than we can accommodate. We have an extensive selection of unique beers for our guests to choose from and enjoy while BBQ meal. 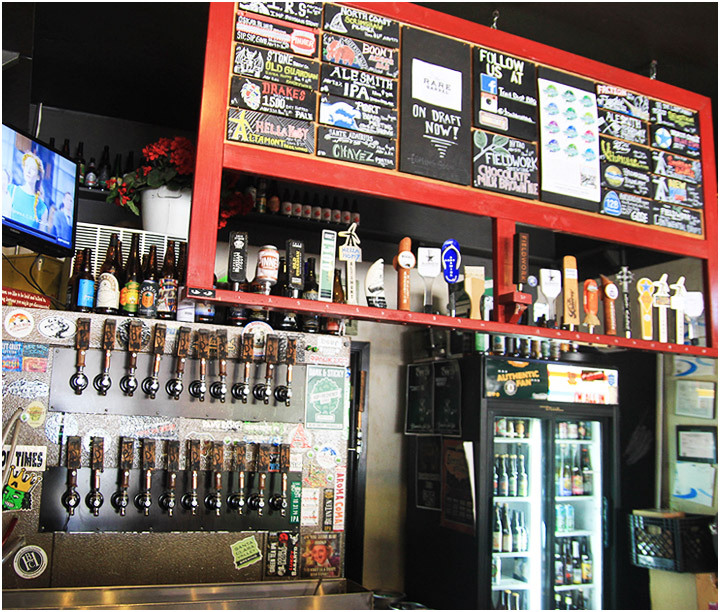 Check out our rotating premium selected specialty craft beers along with monthly & local guest taps. 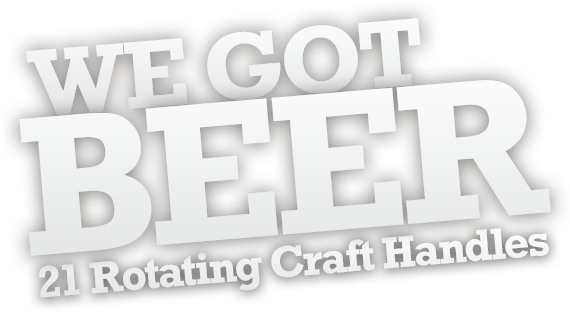 If you are in search for exciting and different craft beers, this list will have you coming back for more. and event planning for your next special occasion. sandwich itself a five star review, I would. 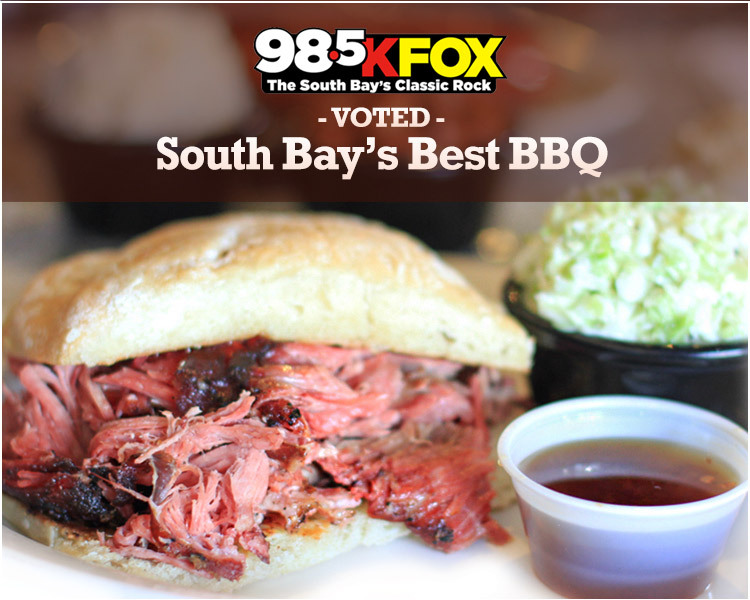 "Came in during Taste of Morgan Hill, really hungry. Ordered A half chicken meal and a large tri tip meal, plus a baked potato. Everything was perfect!!!! service was great as well. Will definitely be going back!"